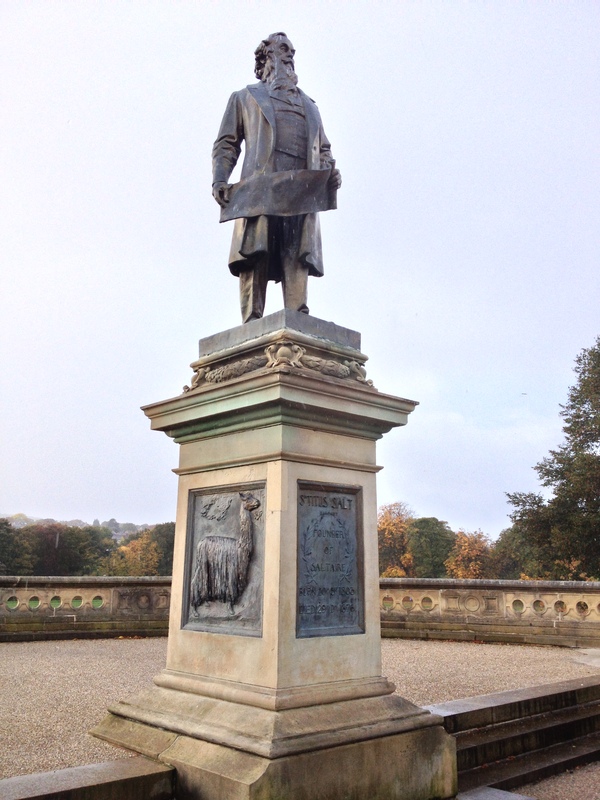 If ever there was a truly inspiring industrialist and philanthropist it has to be Sir Titus Salt. He had become a partner in his father’s small textile firm which essentially outgrew their Bradford premises. Salt had been keen to clear up the smog and pollution caused by Bradford’s clattering wool mills but his use of a contraption called the Rodda Smoke Burner floundered. Wishing to improve the health and welfare of his employees and at the same time grow his business he acquired three acres of land west of Shipley adjacent to both the Leeds and Liverpool canal and the fast flowing River Aire. He had been one of the first textile merchants to identify the high quality yarn produced from the wool of the alpaca. His fortune boomed at an unprecedented rate and as well as becoming Mayor of Shipley, Salt opened a “model village” in 1851 for his employees to live in. From cottages to bathhouses and from churches to a hospital, Salt built and funded the entire project. And thus Saltaire (a corruption of his surname and the river that powered his mill) was born. By December 2001 the village and architecture was deemed so important that Saltaire was granted World Heritage Site status by UNESCO. The architecture of Bradford firm Lockwood an Mawson is considered so historically vital that many of the buildings also have listed status. Pleasingly Bradford City Council have regenerated Roberts Park (named after James Roberts, a Salt employee and subsequently a trustee) on the north side of the Aire after it had become a target for local vandals. 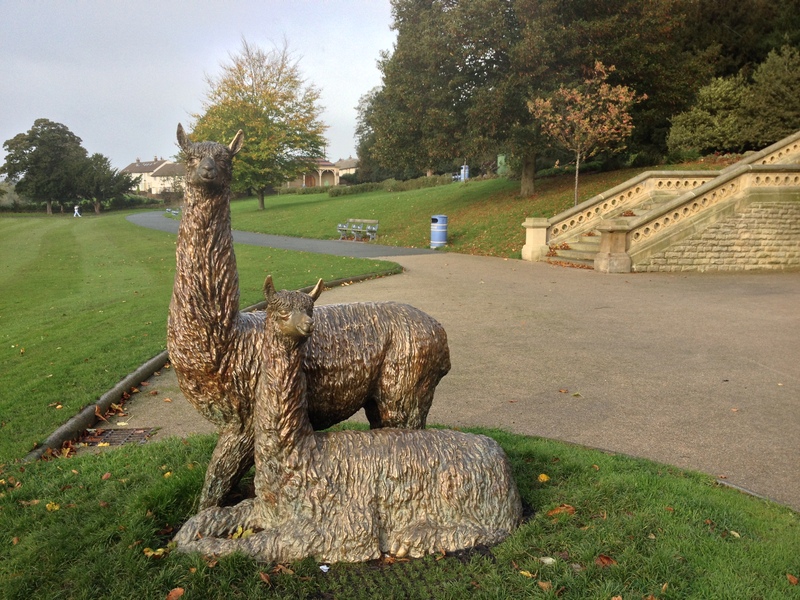 An impressive statue of Salt holding a piece of fabric looms large over Saltaire Cricket Club and the appearance of the park has been augmented by a modern bronze statue of two alpacas. 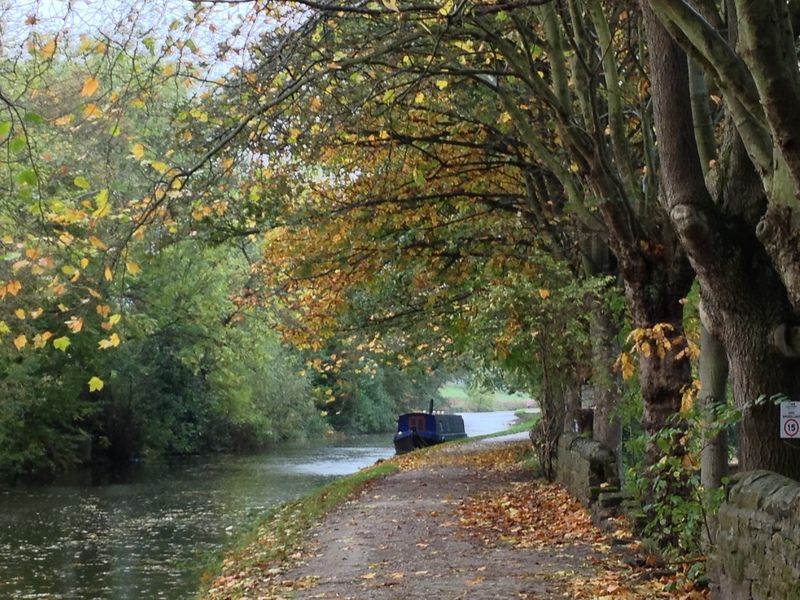 On the south side of the river sandwiched between the mill, the river, the sedate waters of the canal and its lock at Hirst Wood lies Salts Sports Club. 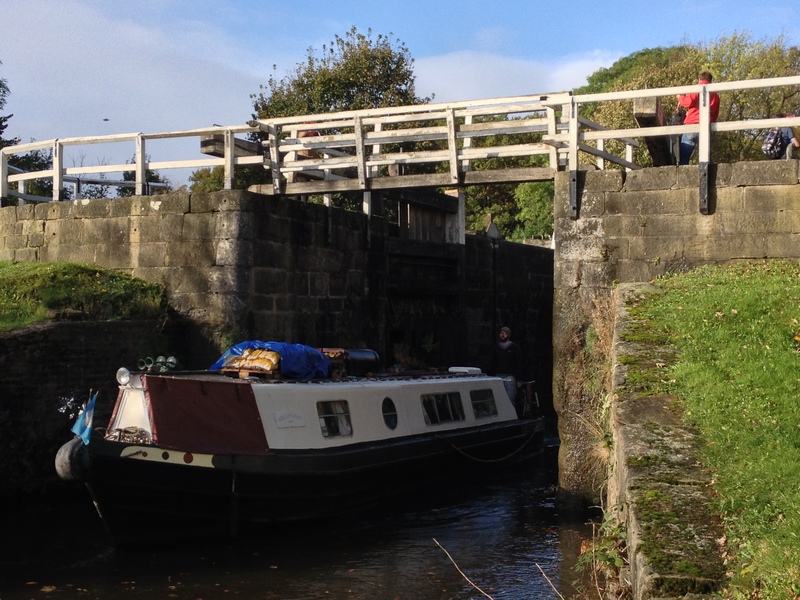 The lock is the start of the Five Rise Locks that move the water level up some 35 metres. 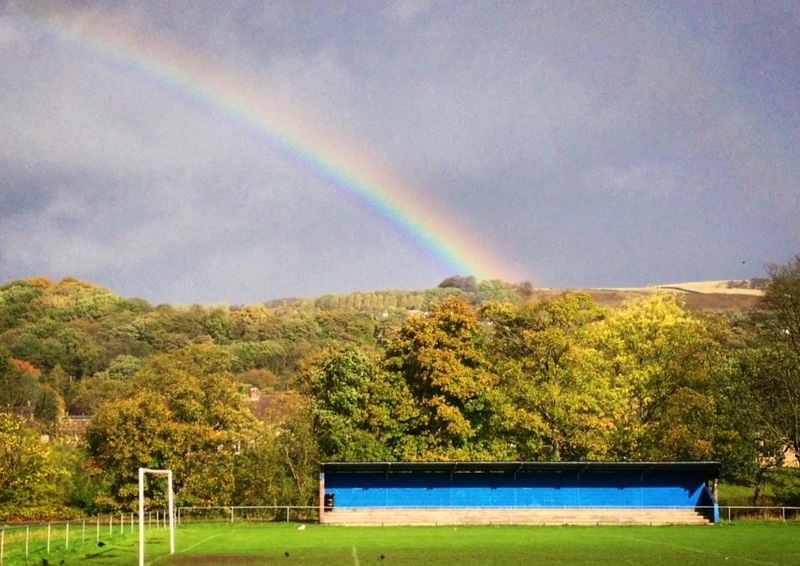 The magnificent Sports Club houses a bowling club, tennis club, Shipley Providence Cricket Club and a much loved football ground, home to Salts (Saltaire) FC. 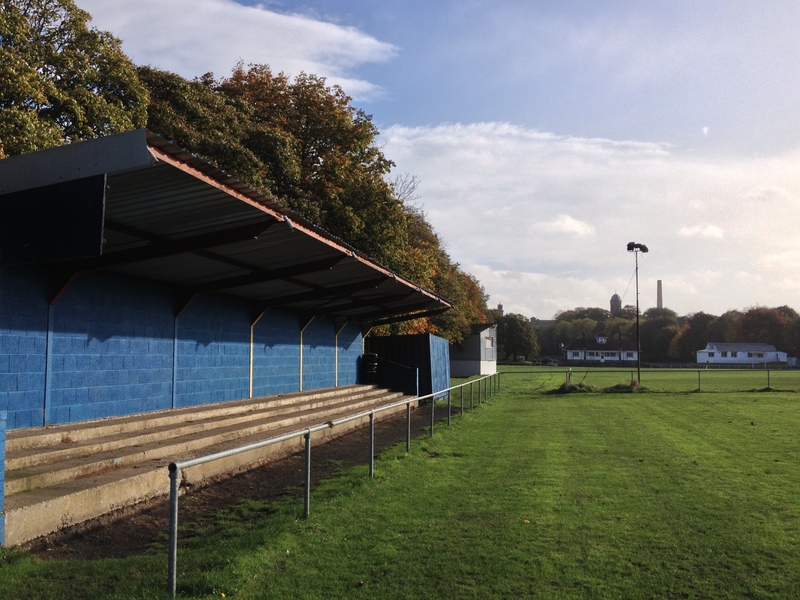 The precise formation of the football club has been lost over time but the Hirst Lane ground dates from the 1920’s when Salts (Saltaire) Ltd acquired the playing fields back from Shipley Town Council. The magnificent clubhouse was opened in 1937 and is a focal point for all the sports clubs. The football club has a long association with the West Riding County Amateur League, and currently compete in the Premier Division. 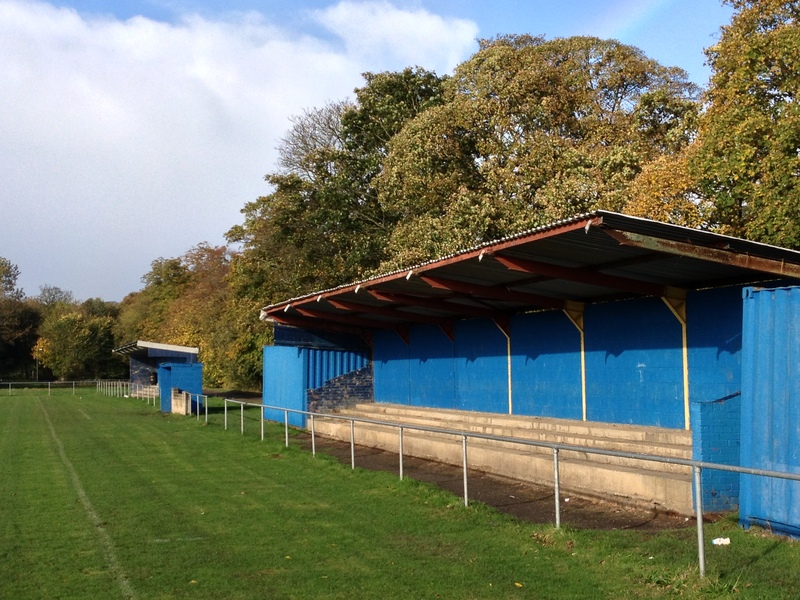 The Hirst Lane ground has modest changing facilities and two sizeable covered terrace, the symmetry of which has been tarnished somewhat in recent years by the incongruous positioning of two blue metal containers next to one of the stands. The Salts club has enjoyed something of an upturn in fortunes in recent seasons following a 2009 absorption of Shipley Juniors FC. A piece on Salts and its football ground would not be complete without mentioning its place in television history as the home of fictional football club Barnstoneworth United. The team featured in an episode of Michael Palin and Terry Jones’ short lived “Ripping Yarns” series shown on BBC2 between 1976 and 1979. Palin plays a United fan, Gordon Ottershaw, in the episode called “Golden Gordon” and despairs as his team, once successful in the Yorkshire Premier League, continue to lose every single game. He famously moans “8-1, 8 bloody 1 and that were an own goal” to a wife who is trying to tell him she is unexpectedly pregnant. The owner of the club has decided to fold the club and sell the ground for scrap. In what was scheduled to be their final match against bitter rivals, Denley Moor, Gordon decides to reassemble Barnstoneworth’s magnificent 1922 team and it is they who turn up at the last minute to play the final match. Instead of yet another defeat its Barnstoneworth who triumph by eight goals to one. It’s a great piece of storytelling of a downtrodden football fan who has just had enough. 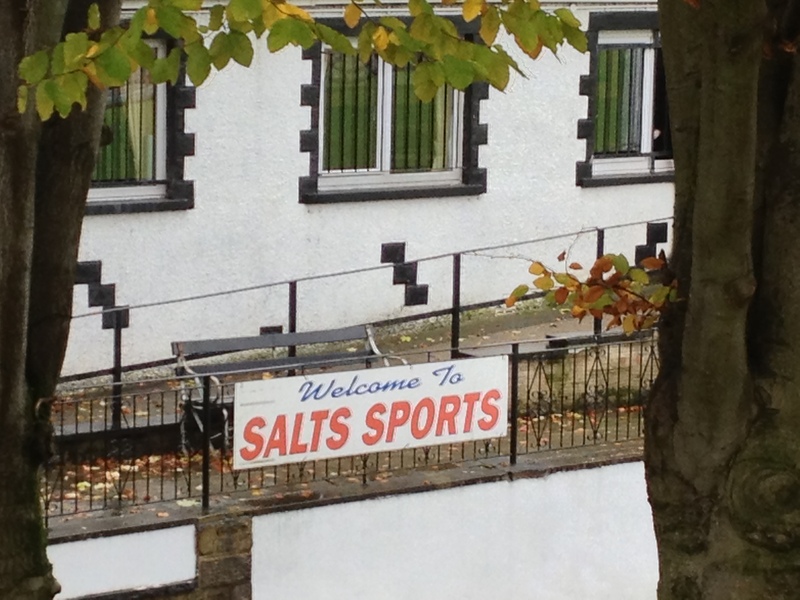 Should you decide to visit Salts (Saltaire) FC you ought to consider dedicating a whole day to the area, it has everything, scenery, history, architecture and not mention a micro brewery. 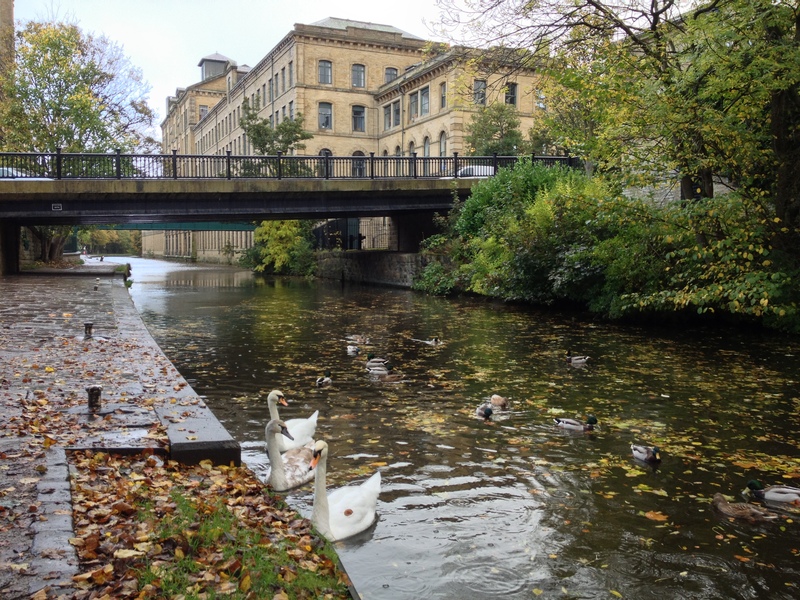 Saltaire is a really wonderful place, hugely interesting and beguilingly evocative of a time when wool truly was king. This entry was posted in Football, Travel, Matches & Stadiums and tagged Alpacas, Barnstoneworth United, Bradford, Golden Gordon, Leeds and Liverpool Canal, Lockwood and Mawson, Michael Palin, mills, Ripping Yarns, River Aire, Roberts Park, Salts (Saltaire) FC, Salts FC, Shipley, Sir Titus Salt, Terry Jones, textiles, UNESCO, Wool Industry by peterrmiles. Bookmark the permalink. Just a bit of further information for your readers. 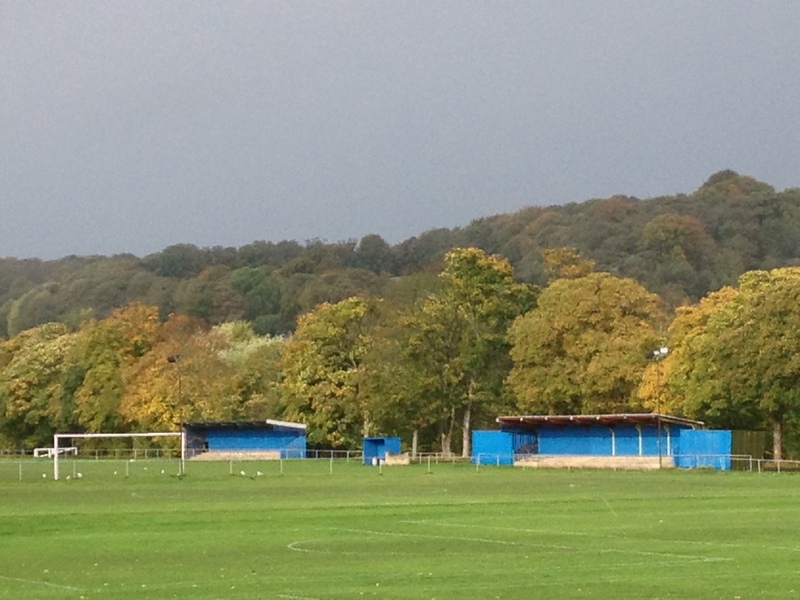 Shipley Juniors started using the site for junior football alongside Salts FC a few years ago. The two clubs decided to merge and the committee of Shipley Juniors took over the running of both the seniors and juniors and the juniors changed their name to Salts Juniors to have the whole club as one name preserving the many years of history of the Salts name. It has been a hard slog to turn around the site but hopefully people will see the improvements that have been made. It is exciting times for the club as we are hoping to see a second full size pitch and brand new ( long overdue ) changing rooms in 2014. The sports sections – Football, Cricket, Tennis and Bowls all work together to create a site that is a sporting centre for lots of the community. There is also a clubhouse on the site offering a warm welcome to any visitors.